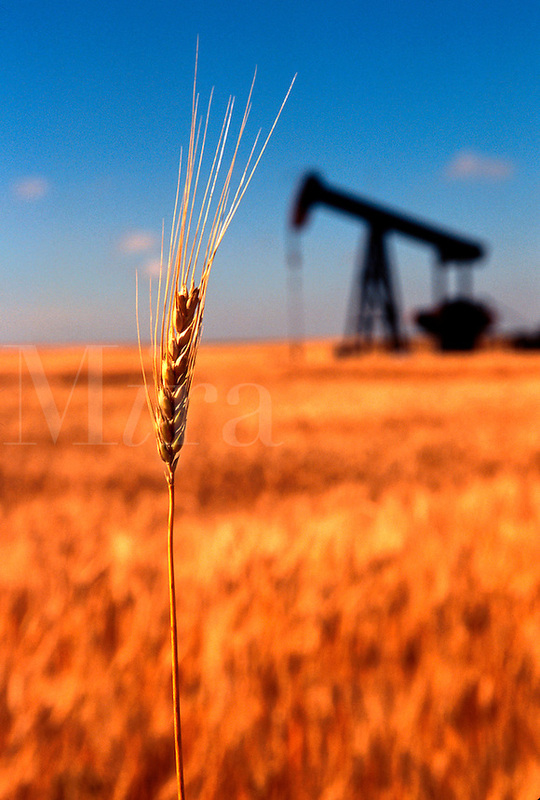 A stalk of wheat grows in a field with an oil derrick in the background. Concept - two major economic products of the American plain. Kansas.